Manchester Orchestra in Montreal or Quebec City? Inform me about the next events for Manchester Orchestra. Enroll yourself to our priority waiting list for Manchester Orchestra to be alerted when new tickets are available. Filling this form doesn't engage you to any purchase. Manchester Orchestra will be performing in Montreal twice over the course of 3 weeks this summer. 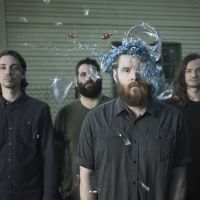 First, Manchester Orchestra will be performing at the Jean-Drapeau Park, as part of the Osheaga festival, on Saturday, July 30th, 2011. Then on August 16th, 2011, Manchester Orchestra will be the opening act for the joint Blink 182 - My Chemical Romance concert at the Bell Centre.